Could You Benefit from Custom-made Orthotics? Do you suffer from back, knee, ankle or foot pain? It may be due to aberrant foot mechanics. The feet have three major functions: supporting our body when weight bearing, shock absorption, and movement. When we stand or walk, the spine, legs and feet are a closed kinetic chain where the foot remains fixed to the floor as our body stands or is propelled forward. This leads to considerable pressure that travels from the feet up into the spine. Any alterations in our foundation (our feet) can lead to consequences in other regions of our body. Think of what happens when the foundation of a house fails. There may be cracks in the ceiling and walls, doors and windows that stick, cabinets that don’t close properly and unlevel floors. A failure in our foundation (our feet) can lead to pain, arthritis, declining athletic performance and difficulty performing the activities of daily living. This can all occur without any history of injury and is more likely to be the result of the chronic slow wear and tear of the daily physical stresses in life. Orthotics are orthopedic devices to support or alter foot function in order to correct biomechanical issues of the feet or spine. They are a tool we can use to reinforce the three arches of the feet, thereby restoring proper gait and creating a better foundation for the body. Custom orthotics are crafted for an individual based on an impression (cast) of the feet that demonstrates the structural imbalances that need to be corrected. Everyone! From kids to adults, men and women, athletes, laborers and office workers. Anyone on their feet for extended periods of time can benefit from orthotics. Some of you may be reading this and thinking “I don’t have foot or back pain, I don’t need orthotics.” Biomechanical issues don’t always cause pain. The lack of symptoms does not mean your feet are problem free. Catching and correcting problems early can prevent more significant issues from developing further down the road. Do you participate regularly in any physical sport? Are you 40 or older? Do your feet “toe out” or “toe in” when you are walking? If you said “yes” to any of the above, you are most likely a candidate for custom-made orthotics and should schedule an appointment to have your spine and feet examined. During your appointment, the doctor will do a thorough exam checking spinal posture; leg length; leg, knee, ankle and foot positioning and stability; and gait analysis. Should it be determined you need orthotics, a cast of your feet will be taken using a foam casting kit. Once your orthotics arrive in 4-6 weeks, you will have another appointment with the doctor to fit the orthotic to your shoes and learn how to break-in the orthotic. Chiropractic Adjustments Can Help Too! Chiropractic care is for more than just your spine. The joints of the extremities (arms and legs) can be adjusted to correct underlying joint dysfunction and further enhance the effect of the orthotics in supporting the feet and body. During your evaluation, the doctor will let you know if any of the joints in the foot, ankle, knee, hip or back are in need of an adjustment. Charrette, Mark. 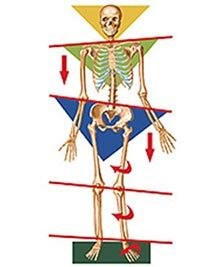 Structural Imbalance and Postural Support. Dynamic Chiropractic.May 2004; 22(10). Christensen, Kim. Orthotic Casting Methods: a “Weighty” Discussion. Dynamic Chiropractic. September 1996; 14(20). Wong, Kevin. Got Low Back Pain? Your Feet May Be to Blame! The Chiropractic Assistant. 2017; 5(3): 8-9.